May you please tell me the name of the cubby holder that has the green bins? Where did you get the clear bins for the books? Is that shelf with the 9 cubbies one that is in Target? This is a shelf from IKEA. The book bins are from The Container Store. 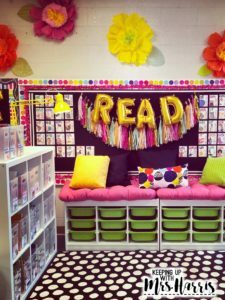 What size are the book bins and what are they called? 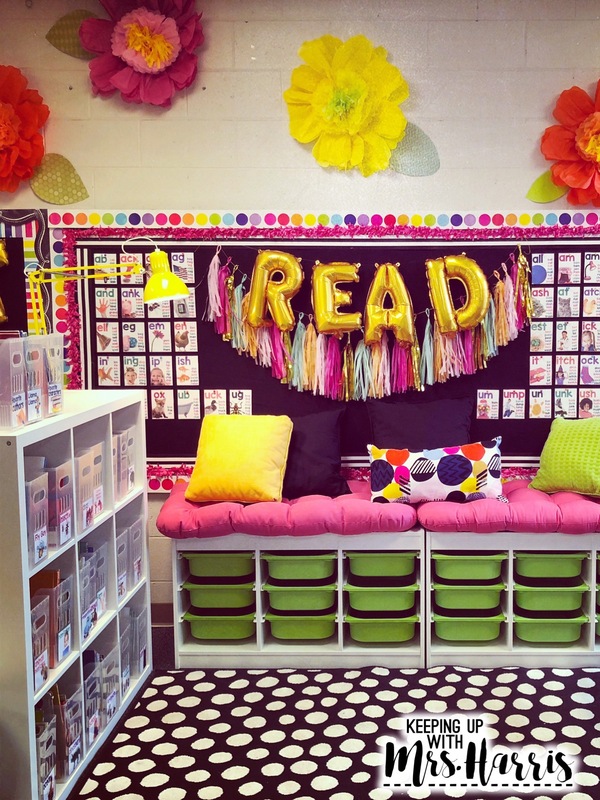 Where can I get those cards you have on the bulletin board in your reading nook?